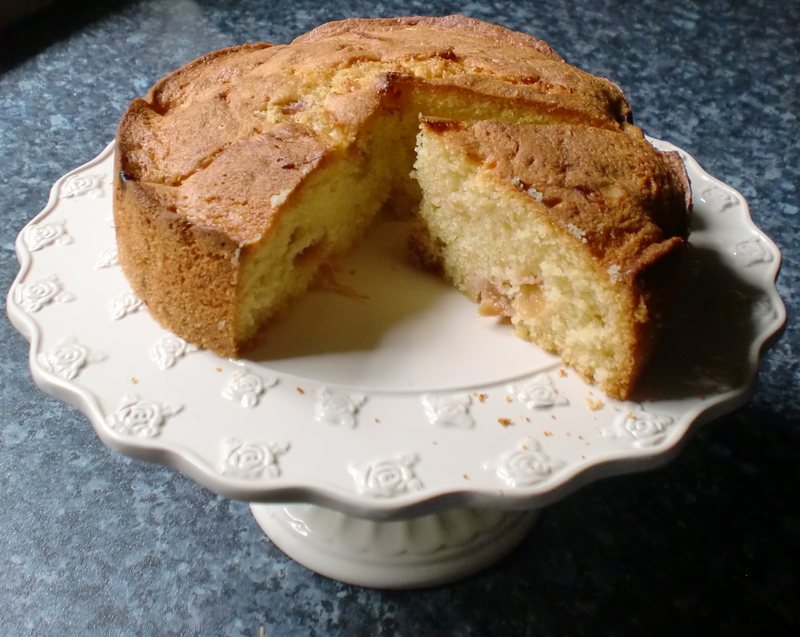 Looking for a simple rhubarb recipe that can rustled up on the spur of the moment, I experimented by adding rhubarb to a basic Victoria sponge which can be served warm or cold as a pudding or cake, with any accompaniment you choose or on its own to appreciate the taste of the ingredients. 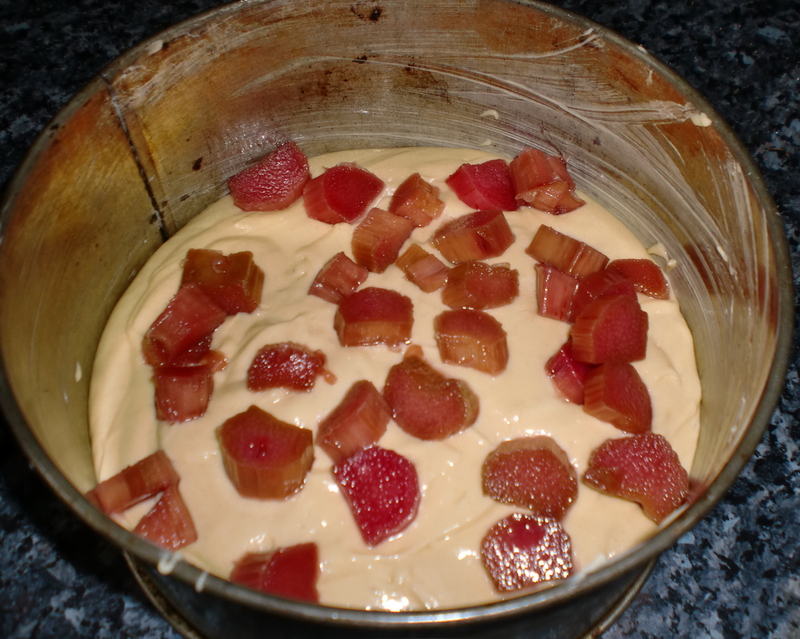 For the cake you will first need to poach some rhubarb, which I can now recommend as the treatment of preference for rhubarb. 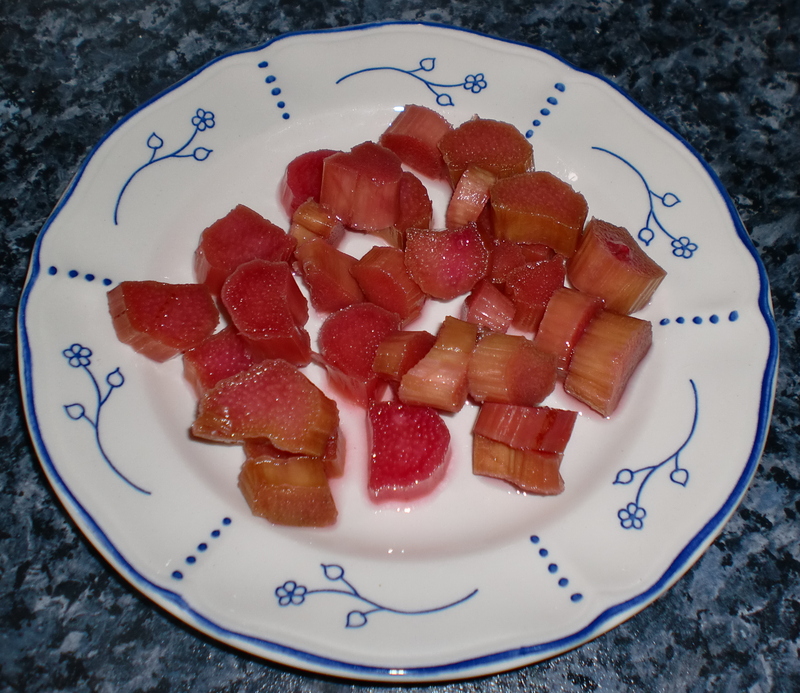 To poach rhubarb, simply cut it into small slices and spread it in a single layer in a baking tin or dish, sprinkle it with sugar (about 4oz for 1lb of rhubarb), cover with foil or a lid and cook in a slow oven (Aga simmering oven, or 300°F/150°C/gas mark 2) till the rhubarb is cooked but still has ‘a bite’. It took about 45 minutes in my Aga, but check after 15 minutes and then every 10 minutes or so (more mature rhubarb may take a little longer). Allow to cool in the resultant syrup, and you will be amazed at the taste, texture and colour .